Social media is awash with Danes showing their support for their local pizza man following another faux pas by Inger Støjberg. The minister of integration, immigration and housing has urged Danish citizens to report people to the authorities who they suspect might be potential illegal immigrants – for example in their local pizzeria – if they have doubts about them. That especially includes foreigners who don’t speak Danish, added Støjberg. 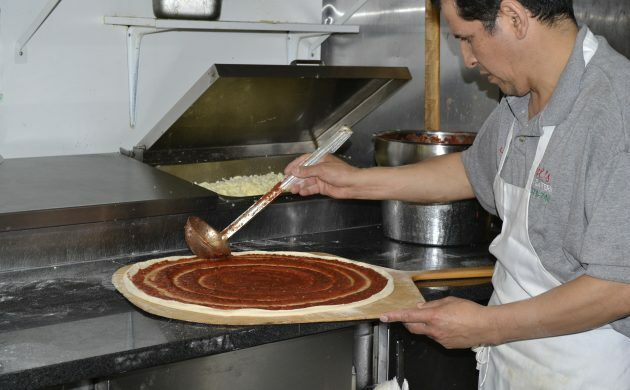 “My pizza man is great,” wrote one online commentator. “He gets five out of six stars,” said another, with many commenters sharing the hashtag #anmeldenpizzabager, which has shot up to number one on Twitter’s trending list for Denmark. “I’d actually recommend ordinary Danes to contact the authorities if they, for example, go into their local pizzeria and see that there’s something odd going on in the back room because there are a lot of people there who don’t speak Danish at all,” Støjberg told TV2. Støjberg was responding to a TV2 report on the increase in the number of people charged with being illegal immigrants in Denmark. In 2016, the number was 1,348 – up from 877 in 2015. Many of the illegal immigrants in Denmark live in miserable conditions. They work for very low wages, typically between 2,000-4,00 kroner per month, a police commissioner working in the area of immigration in Copenhagen told TV 2. Laura Lindahl, the immigration spokesperson for Liberal Alliance, advises the public to think before they make a rash decision. “I agree that if you see something you think is illegal you should of course contact the police, but I don’t think you need to be extra-vigilant. I’m afraid that if you are a member of a minority, you might feel that everyone is watching you. If you’re not particularly good at Danish, then what?” said Lindahl.